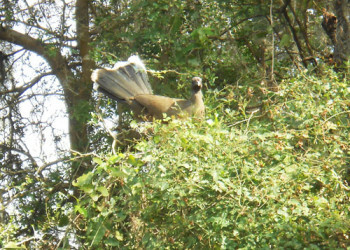 land and energy, and so much more. 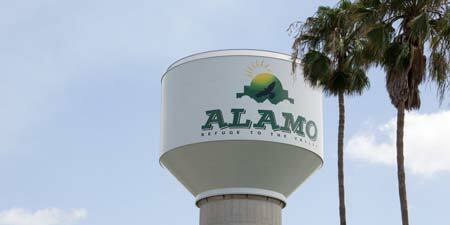 Located in the heart of the Rio Grande Valley, Alamo is part of the 5th largest metropolitan statistical area in Texas, surpassing El Paso, Killeen-Temple and Beaumont-Port Arthur. With international seaports, airports and bridges connecting us to Mexico, annual retail sales have succeeded over $4.5 billion, establishing our city as the prime location for foreign trade and commerce. The Alamo EDC has several incentives to help your company grow by building and sustaining a stronger local economy that is sure to benefit your business. Whether you're looking to relocate or start a company, choose a city that looks forward to your success. 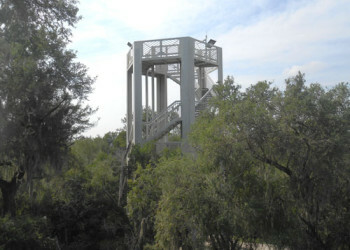 Alamo is quickly becoming one of the most vibrant cities in South Texas. With opportunities to expand or relocate, businesses can enjoy a robust economy, low living costs and a skilled and bilingual workforce. As part of the city's ongoing commitment to foster an economic environment that empowers businesses to grow and succeed, companies investing in Alamo have the assistance and support of our Economic Development Corporation. With us, your business can find the right location to attract customers and sustain healthy profits. 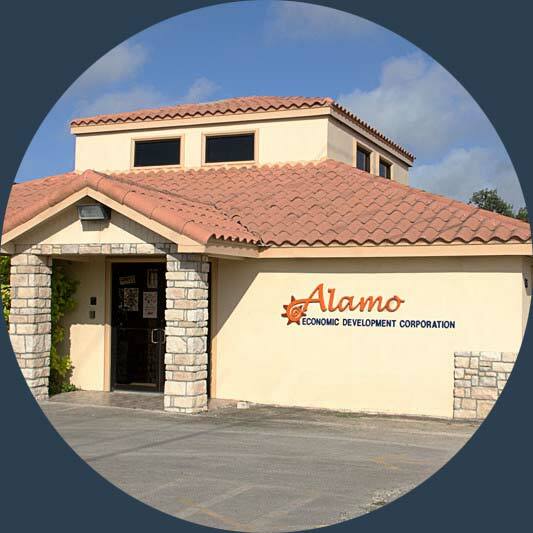 Ours is a city on the grow and new businesses or companies looking to expand or relocate have the support of the Alamo EDC on their side, regardless of scope or size. 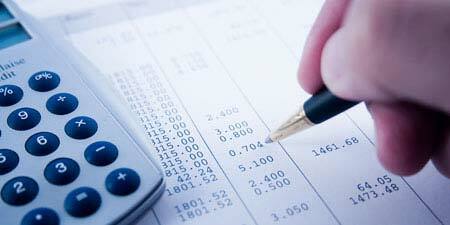 Learn more about how we effectively achieve our business empowerment objectives. A business-friendly atmosphere, lower taxes and affordable real estate make Alamo a premier location to live, work and play. 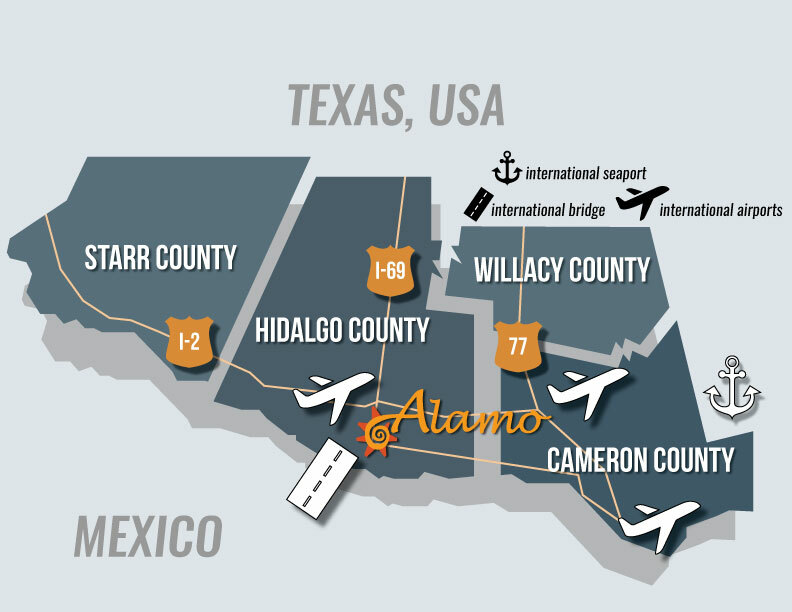 We’ve gathered current community profile information to help you learn more about what Alamo has to offer your business. A dynamic, highly trained workforce fuels the continued growth of our community, which is why we’re dedicated to boosting the employment sector with various initiatives and training programs. 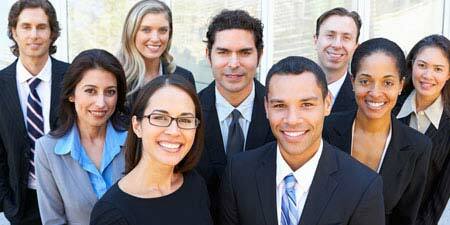 Whether you’re looking to start or expand your business in Alamo, we bring employers and employees together. The EDC works together with economic development officials at various levels to ensure you have the important information needed to find the right location for your business. 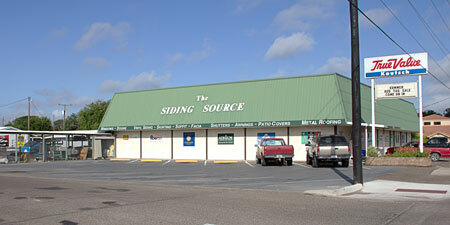 Our site selection services were created to help streamline the process of starting or expanding a business in Alamo. 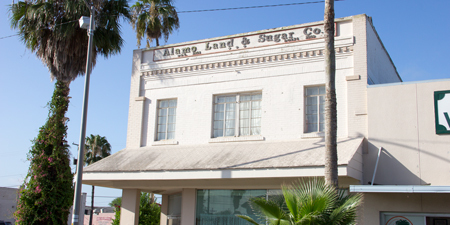 Our incentive programs were created with one goal in mind: to spur business growth in Alamo. The EDC works diligently to provide a wide range of incentive programs and ensures each new, relocating or expanding company gets the support they need to be successful. 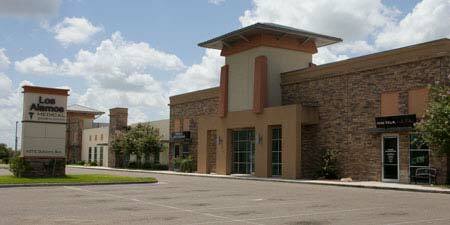 The Alamo Economic Development Corporation (EDC) is dedicated to promoting and providing new business opportunities that will foster the growth of our community. The Alamo EDC has partnered with our affiliates at state and local levels to increase the development and self-sufficiency of our local economy. Alamo’s business-friendly climate and wide range of incentive programs and initiatives make ours a great city for your business to prosper. Contact the EDC to learn more about our initiatives and innovative plans for the future of our community and how it can benefit businesses, new residents and countless visitors each year. 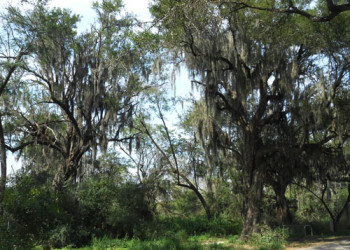 Your business opportunity awaits in Alamo! 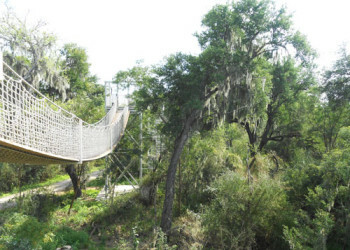 Our region is home to an abundance of extraordinary natural resources and our commitment to preserving its habitat not only protects the environment, it also fuels the RGV ecotourism industry and boosts our local economy. 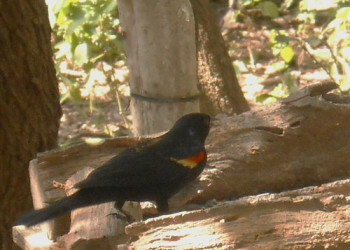 Countless visitors flock to Alamo each year for the best ecotourism experience our city has to offer. 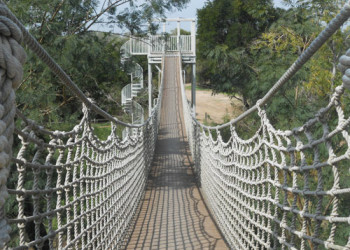 The latest shift in travel trends puts nature tourism at the forefront, which translates to endless opportunities for your business. 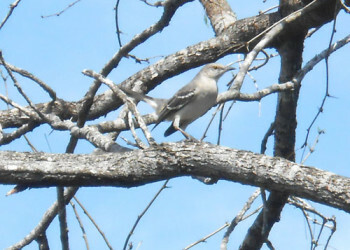 The Alamo Inn Bed & Breakfast is the largest inn focusing on birding in Texas and the United States. 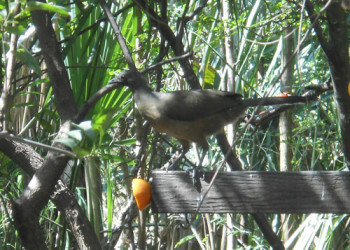 With birding enthusiasts from over 23 countries visiting each year, the Alamo Inn B&B has helped put the city on the map and superior customer service has kept the birding and nature lovers coming back for more. Founded in 1932, the Kautsch Lumber Company has provided Alamo with quality products and personalized service that is unmatched in the industry. Decades of hard work led to the Kautsch Lumber Company becoming one of the most successful names in the business and the largest vinyl distributor in South Texas. 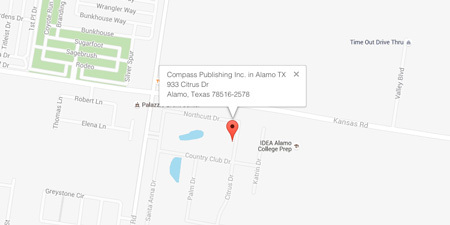 Compass Publishing Inc. is in business to promote the Recreational Vehicle Campground Business by providing the highest quality site maps in the industry. The Backus’s maps are provided at no charge to the campground but are in fact supported by the advertising contained within the map. 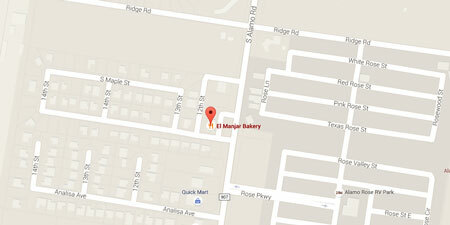 Many have said it’s difficult to find a good Mexican bakery outside of the Rio Grande Valley, and El Manjar Bakery doesn’t make things any easier. Named ninth out of 32 restaurants in Alamo on the TripAdvisor website, the bakery is very much a local favorite. If you’re looking for authentic barbeque, you may not have to look far. 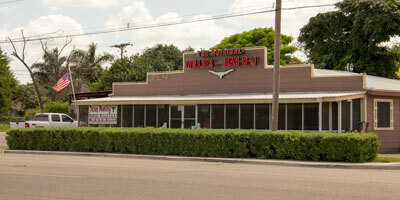 The Original Willie’s Bar-B-Q was named one of the best places for barbeque in Texas by Texas Monthly in June of 2013. With a prestige like that, it’s not a surprise the restaurant has been booming for over 20 years.